Metafilter sent me over to watch this amazing Royksopp music video (this video artist thought that it was so compelling as a straight video that he removed all of the music and added in foley--it's really cool). 2010-02-06 Fun with Dead Mice! 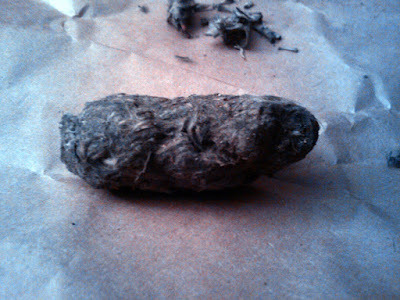 Basically, owl hairballs containing everything the they can't turn into nutrients--fur and bones, mostly.